Martha “Calamity Jane” Cannary (or Canary, the spelling varies) is one of the most beloved characters of the Wild West and American folklore in general. In fact, after she passed away on August 1, 1903, her funeral was the largest Deadwood had ever seen—no small feat, considering some of the legends who are buried there. Of course, many of her mourners weren’t friends, but curious bystanders who wouldn’t have stopped to associate with her when she was alive. Nevertheless, they buried her in a place of honor next to Deadwood’s most famous resident, Wild Bill Hickok, who was famously shot and killed while playing poker in 1876. 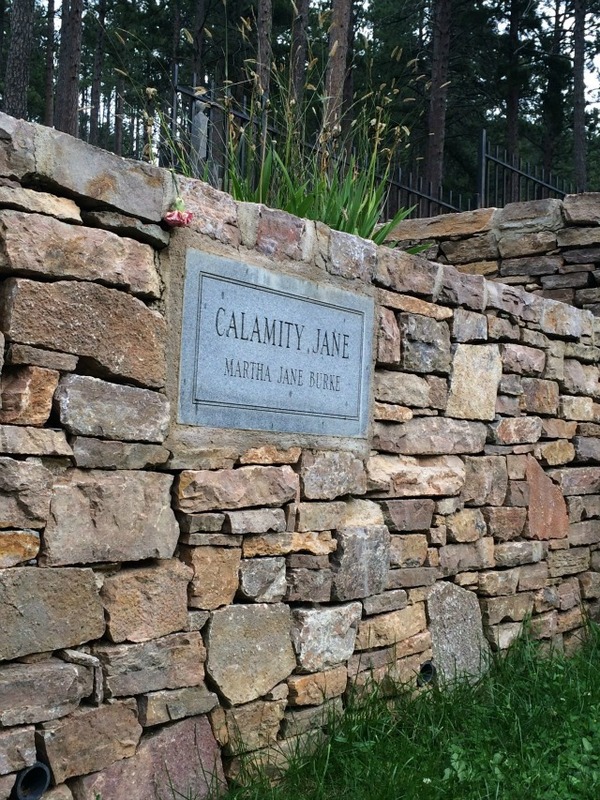 But is Calamity Jane’s final resting place really meant to honor her—or was it simply a joke or bid for tourists? Legend has it that when she knew she was taking a turn for the worse, Calamity Jane specifically asked to be buried next to her beloved Wild Bill. Some even say it was her last request, and that she passed away with Wild Bill’s name on her lips. 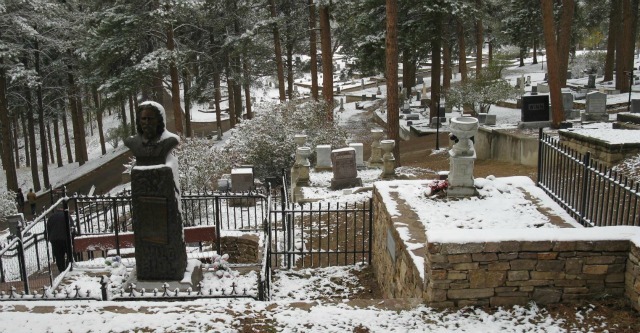 The town of Deadwood did their best to uphold that request, even though the Hickok family is said to have been upset with the proximity of Calamity Jane’s grave. It had been long rumored that Wild Bill and Calamity Jane had a secret tryst that resulted in a daughter; the Hickoks probably didn’t care to encourage such rumors with Jane’s burial. Their protests did nothing to deter Deadwood promoters, who saw the icon’s grave as a potential new tourist attraction for the town. 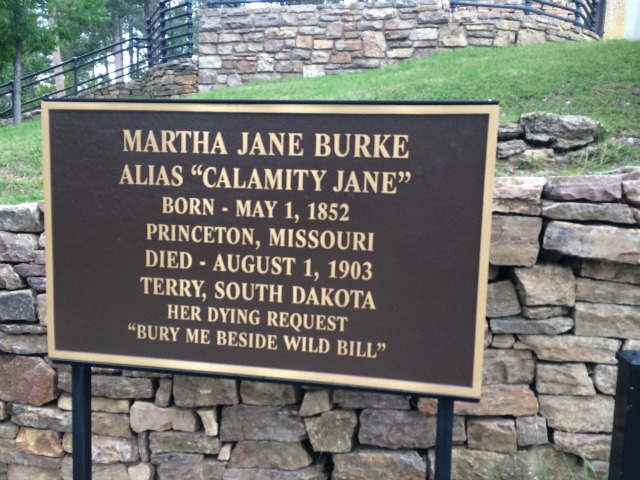 According to a couple of Bill’s old buddies, however, Calamity Jane’s final resting place had nothing to do with tourism or last requests; it was actually just a final prank on their old buddy Bill. His friends (and many other accounts) claimed that Bill and Jane weren’t as close in real life as she liked to think, and that Bill had “absolutely no use” for her. Since she was an inescapable nuisance to him in life, they decided, why shouldn’t she continue that trend in death as well? 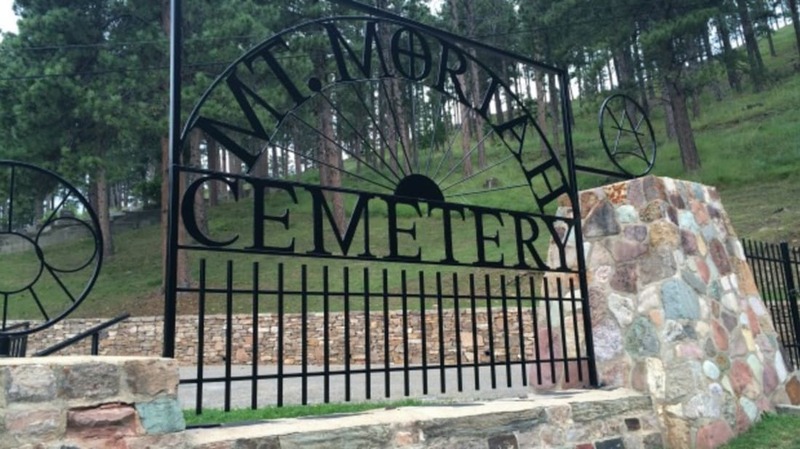 Whatever the case may be, Calamity Jane can be found in Mount Moriah Cemetery in Deadwood, South Dakota, mere feet away from the man she so admired in life. The actual reason for her burial there probably wouldn’t have concerned her much.